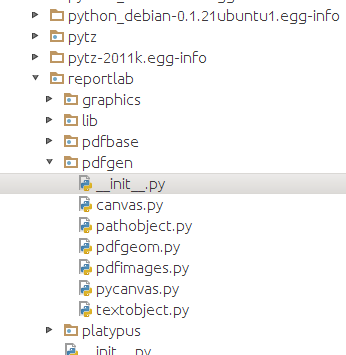 I'm getting an inspection error: "Cannot find reference 'setLineWidth' in 'canvas.py'"
However I can plainly see that this file is in External Libraries. Inspection doesn't complain about the import statements or the initialization of Canvas. I can also plainly see in the source that there truely is a setLineWidth method declared in Canvas. Does anyone know how I can get inspection to see this source code? the method will be searched in canvas.Canvas so you will not see this inspection. That was the problem. My bad! Thank you very much!